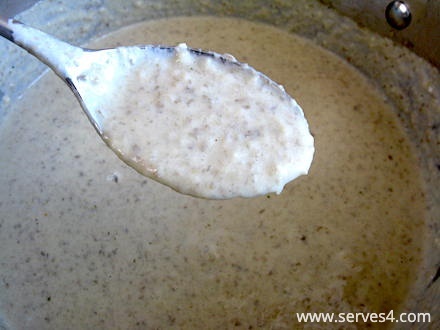 Mushrooms contain a wealth of health benefits, and this baby soup recipe for Creamy Mushroom Soup is a great way to incorporate more mushrooms into your little one's diet. While often referred to as vegetables, mushrooms are actually fungi, with the mushroom itself being the spore-bearing fruit produced by a fungus. They typically grow above ground on soil or other food sources. 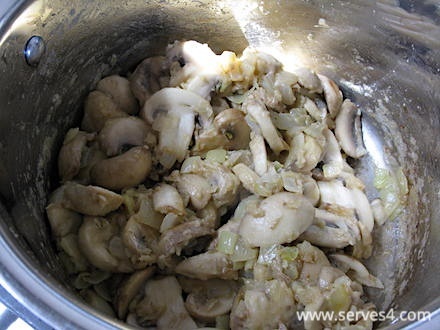 Mushrooms are rich in B vitamins and are also a source of important minerals, including selenium and potassium. Often considered the 'meat' of the vegetarian world because of their fleshy texture, mushrooms are the only whole food source of vitamin D, which it produces as a result of natural sunlight and UV light exposure, even after harvesting. With vitamin D deficiency rapidly becoming a major health concern, this is another compelling reason to include more mushrooms in your baby's diet. 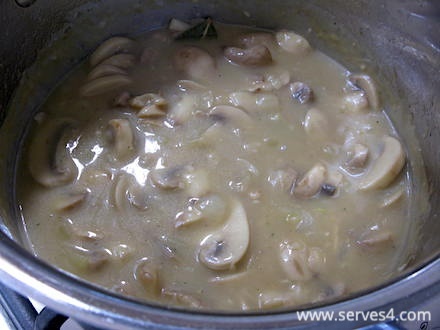 This baby soup recipe is a great way to gently introduce the flavour of mushrooms to your baby. 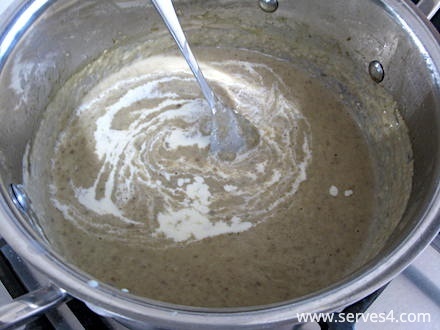 The creaminess takes the edge off the mushrooms, which can sometimes be a bit overpowering in taste for babies. 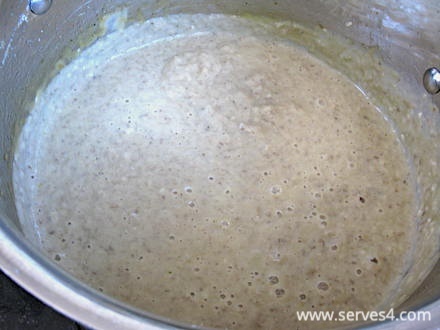 Whilst I added a pinch of ground white pepper to round out the flavours in this soup, you may wish to leave it out if you're preparing this for a smaller baby. 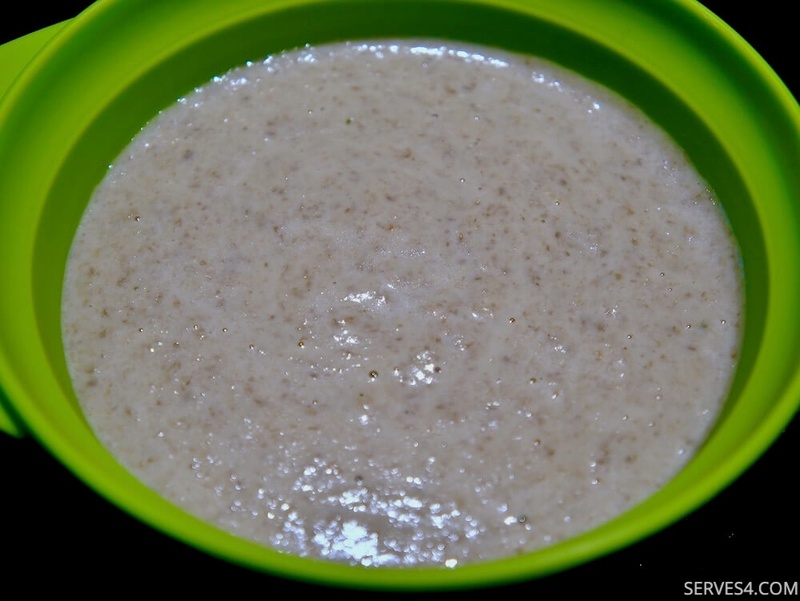 Note that this recipe uses chicken stock, but if you're making this for a vegetarian baby, then you could substitute in vegetable stock, instead. 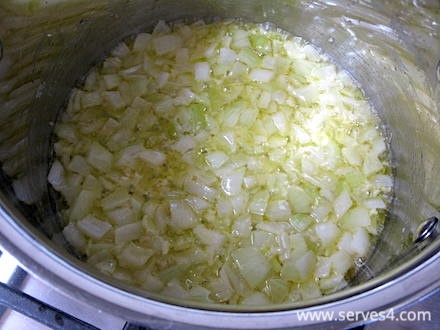 Cook the onion and garlic until soft but not browned, about 5 minutes, stirring occasionally. 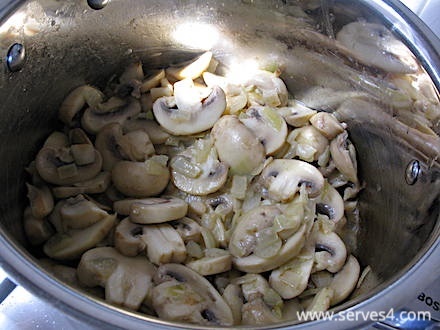 Add the mushrooms to the pan, and cook on high heat for about 3 minutes, stirring frequently. Then stir in the flour, making sure to coat the mushrooms evenly. Add the chicken stock and bay leaf, and bring to the boil. Lower heat and simmer for 10 minutes, stirring occasionally. Then turn off the heat. Allow the mixture to cool slightly, and remove the bay leaf before blending it into a smooth consistency with a handheld electric blender. Season with a pinch of white pepper, if desired. Return the pan to heat, and bring to a gentle boil. Stir in the cream, and mix well. Turn off the heat, and allow the mixture to cool. Your baby soup is now ready to serve!